Krishna DCCB Staff Assistant And Clerk Syllabus 2017: Are you searching for the latest syllabus for the Krishna District Co-operative Central Bank Limited Staff Assistant/Clerk Positions. This page will provide you the KDCCB examination syllabus for Staff Assistant/Clerk Posts. So have a look the given topics to get the better marks in the exam of the Krishna DCCB Staff Assistant/Clerk Posts. For more details, you guys can click on the below given links to get official Krishna DCCB Staff Assistant And Clerk Syllabus so that you can resolve your doubts. Along with the syllabus, our sarkarirecruitment.com team members will update this article with the Exam Pattern for this positions. By checking this page, we are promising you that applicants can get the useful information about the Krishna DCCB Staff Assistant And Clerk Syllabus, Test Pattern and Previous Papers to crack this posts. Candidates who want to get qualify in the Krishna DCCB Staff Assistant and Clerk written exam they have to start thier exam preparation with the help of syllabus form the below sections of this page. The given syllabus is only for reference use our team members will update this page if any notification released by the officials of the Krishna District Co-operative Central Bank Limited. Candidates can make use of this study material for better exam preparation. Check this page for more updates about the Krishna DCCB Recruitment or check the official notification or visit the official web page of the Krishna DCCB i.e., www.krishnadccb.com. As per the process of the official recruitment process, candidates who had applied for this Recruitment 2017 need to attend the online written exam first which is conducted at different centers across the Andhra Pradesh State. Make a note that the contenders need to carry the admit card to enter the examination hall. Without admit card officials not allow into the participants even they have other documents. so we advise the candidates download the Admit Card From the official web page before going to appear. Applicants who got selected for the written test by gaining the minimum cutoff marks they only eligible to attend the personal interview round. Check the given table to get information about the marking system. 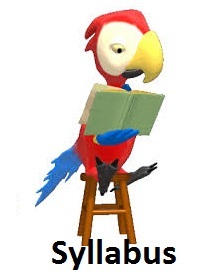 After preparation of the syllabus check this page and get the previous papers to improve your time managements skills. So touch with us we will update Krishna DCCB examination date as soon as possible. To get instant updates on the about both state and central govt jobs stay tuned with our web page sarkarirecruitment.com. The given stuff is very helpful to the candidates who had applied for the Krishna District Co-operative Central Bank Limited Staff Assistant/Clerk Jobs positions. Along with the latest Syllabus, we have also updated the test pattern for this poats on this page.